From those tall hemlocks proceeds a very fine insect-like warble, and occasionally I see a spray tremble, or catch the flit of a wing. I watch and watch till my head grows dizzy and my neck is in danger of permanent displacement, and still do not get a good view. 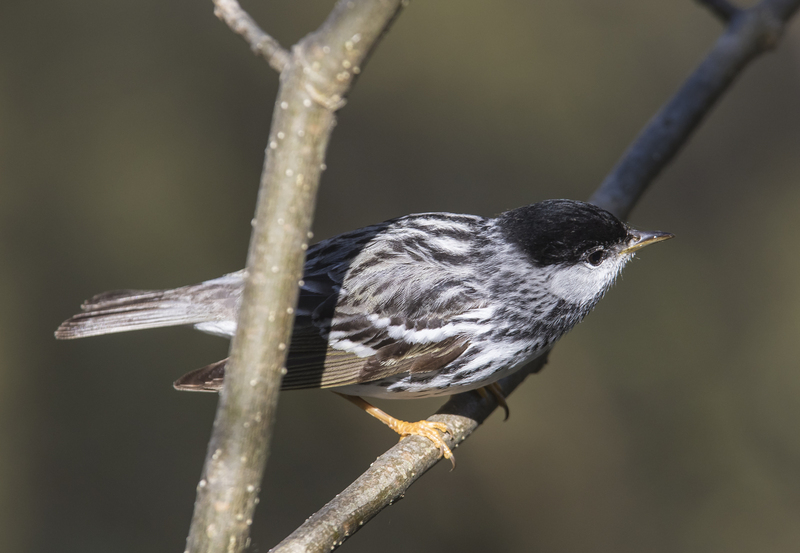 Most of us can relate to what naturalist John Burroughs had to say about trying to observe warblers. 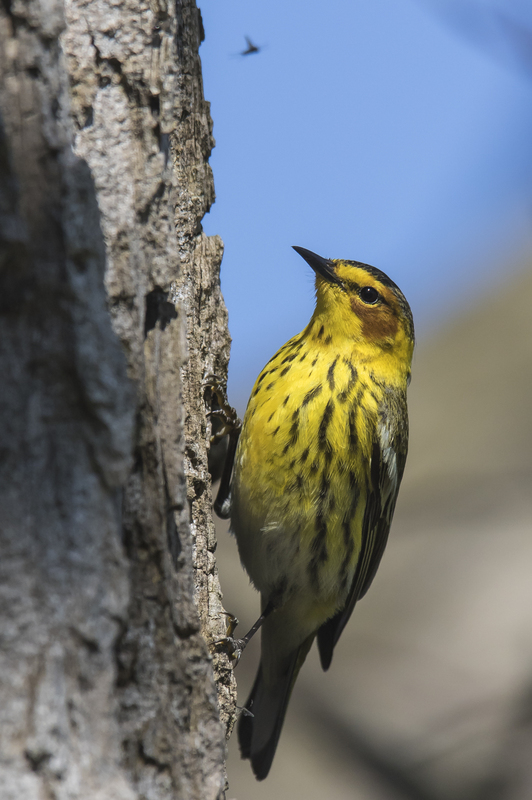 Birders typically hear them before seeing them, then strain for a glimpse, often looking straight up into the tall trees, trying to catch enough of a view of the flitting creature to confirm an identity. 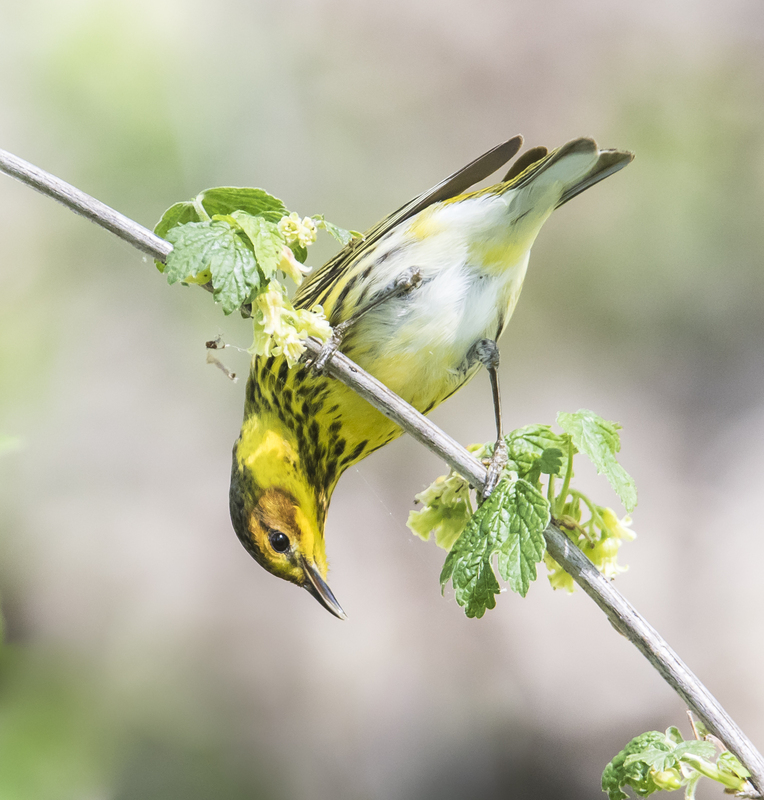 It can lead to the malady known as warbler neck, and can be frustrating . 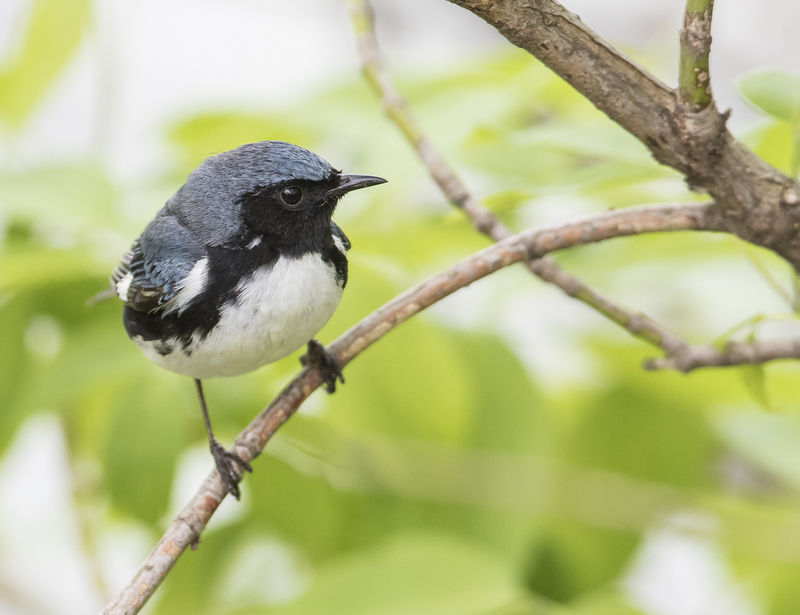 But, when it pays off, it can pay off big, as these tiny songsters are among our most beautiful birds. 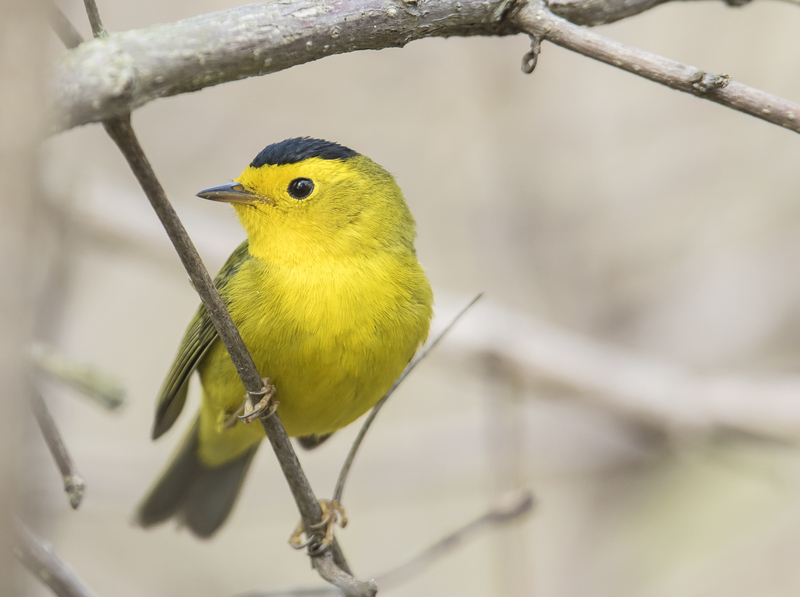 Spring is warbler time as they migrate from their wintering areas to their breeding grounds dressed in their finest. 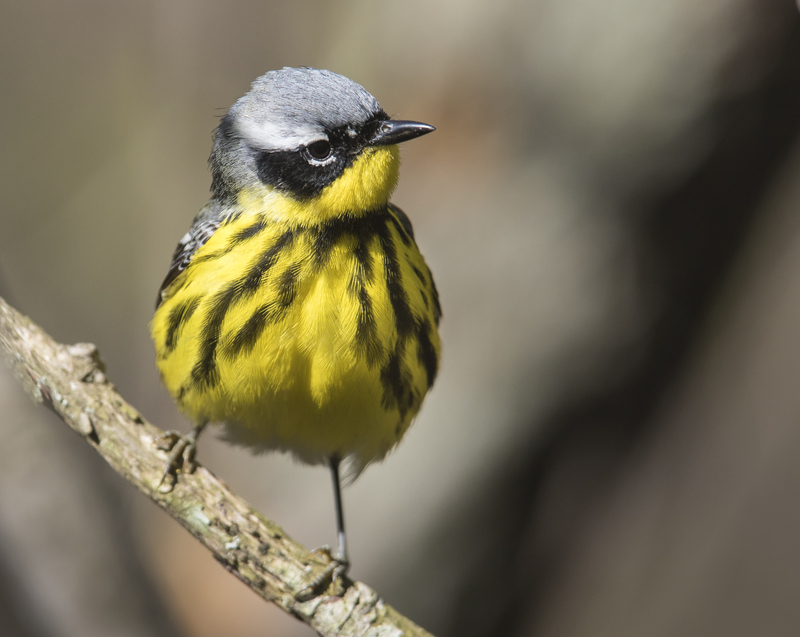 While we do have several species that nest here in the Piedmont, many others are passing through, on their way to higher elevations or latitudes to breed and raise their young. 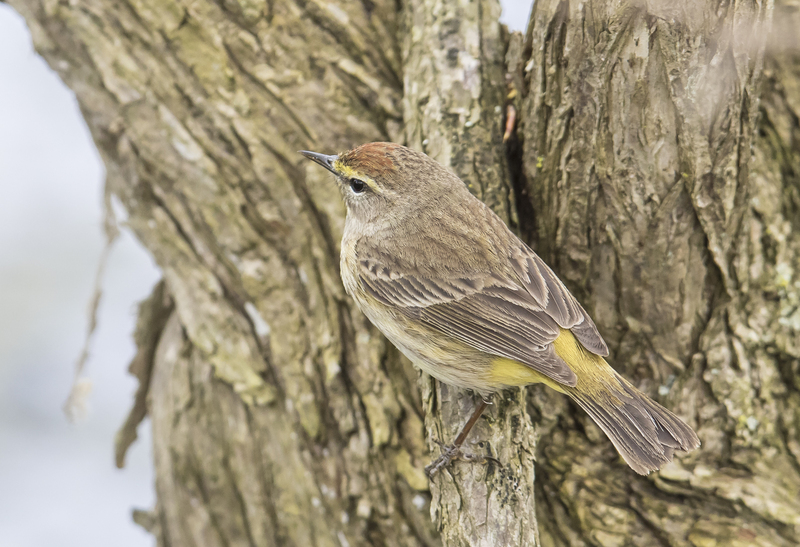 But, there is a place where warblers are incredibly abundant during spring migration, or at least that is what I had read. That place is the Magee Marsh Wildlife Area on the south shore of Lake Erie. 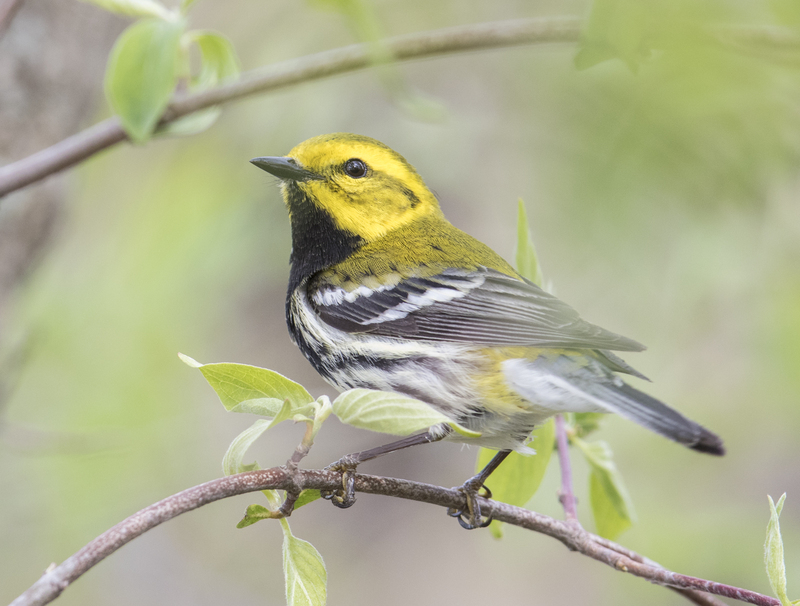 It is a 2000+ acre state wildlife management area, adjacent to Ottawa National Wildlife Refuge, and is home to the famed Magee Marsh boardwalk, which regularly appears on lists of the top birding spots in America. 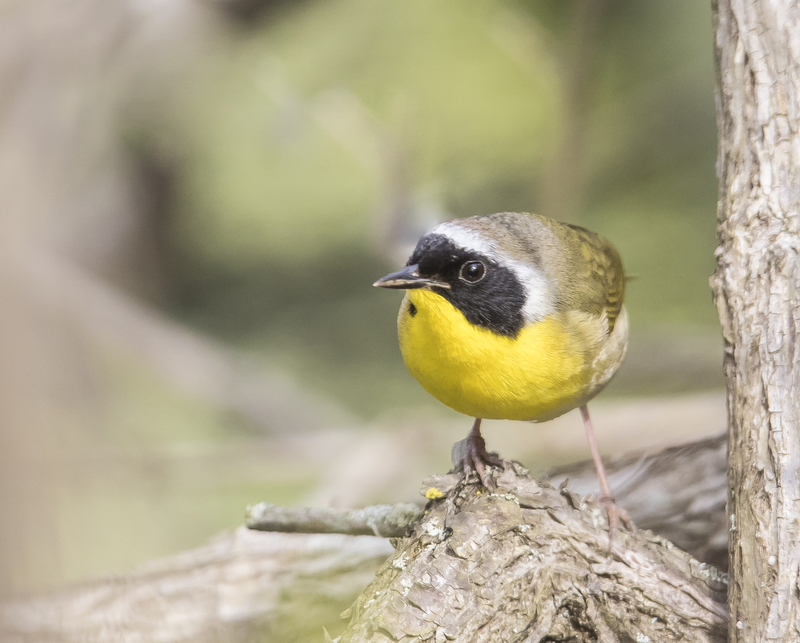 It is also home to The Biggest Week in American Birding festival for ten days each May, around the peak of the spring migration. Based on some tips about birding the area I read online, I was carrying my 300mm telephoto, a flash, and my tripod onto the boardwalk. 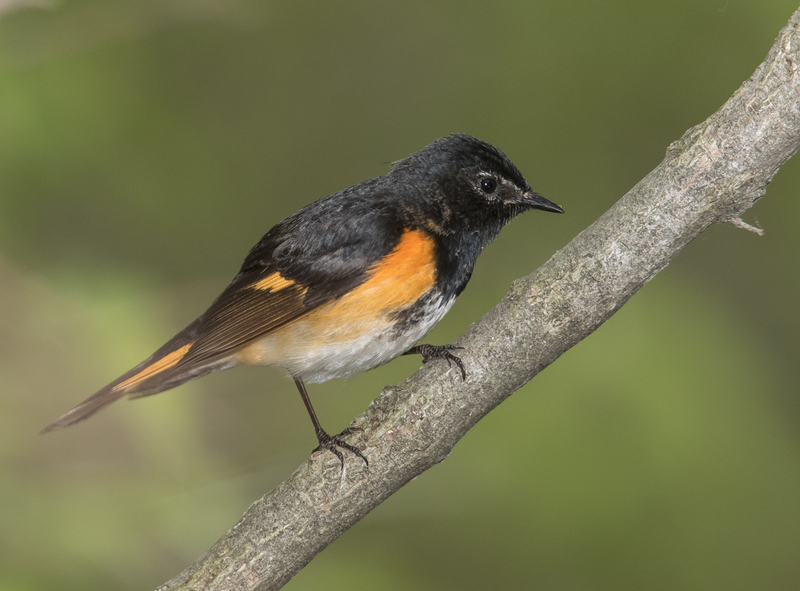 After walking about 50 feet and already seeing several warblers, and viewing the conditions (thick vegetation and close proximity to birds), I carried the tripod back to the car. This is a place for quick photos, maneuverability, and reasonable focal lengths (plus, the tripod is difficult to use when the boardwalk is crowded). Birds were everywhere! And close! 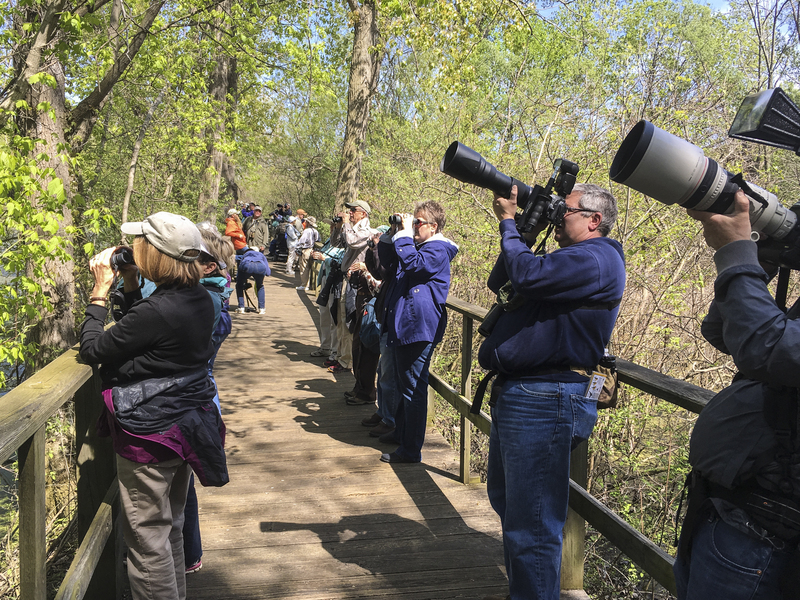 As we made our way down the boardwalk, more and more birders started to arrive. But, in spite of the developing crowds (and this is the day AFTER the festival), you could always just walk a few feet and have a bird to yourself. It turned out to be an incredible day, a tiring day, but a really rewarding one. The hype is for real…this is an incredible place to bird. 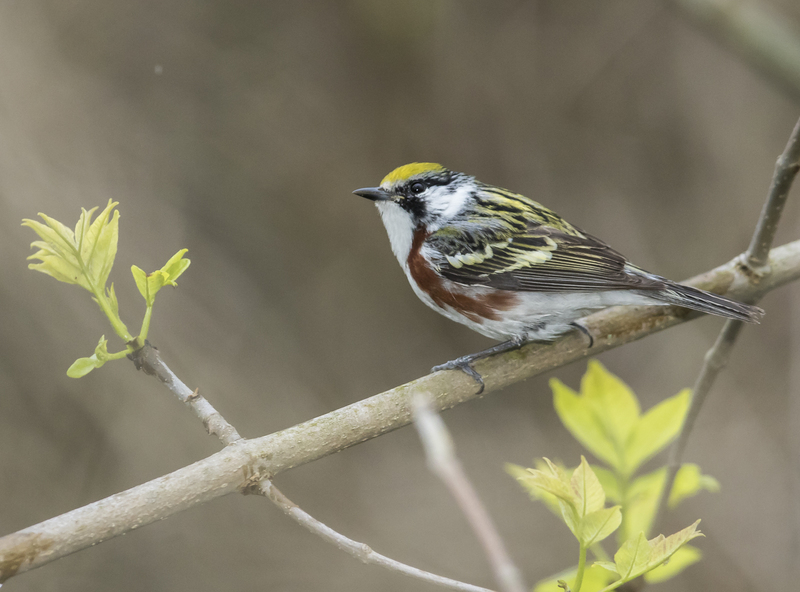 Below are some portraits of some of the 22 species of warblers we observed at Magee Marsh in our day and a half of birding. 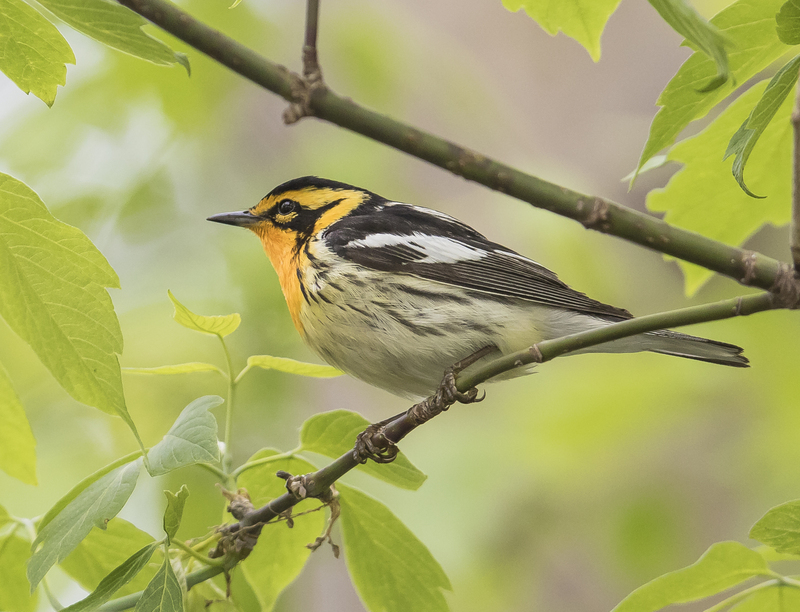 In addition to these 18 that are represented in photos, we had 4 others – yellow-rumped warbler, prothonotary warbler, worm-eating warbler (heard), and ovenbird (heard). 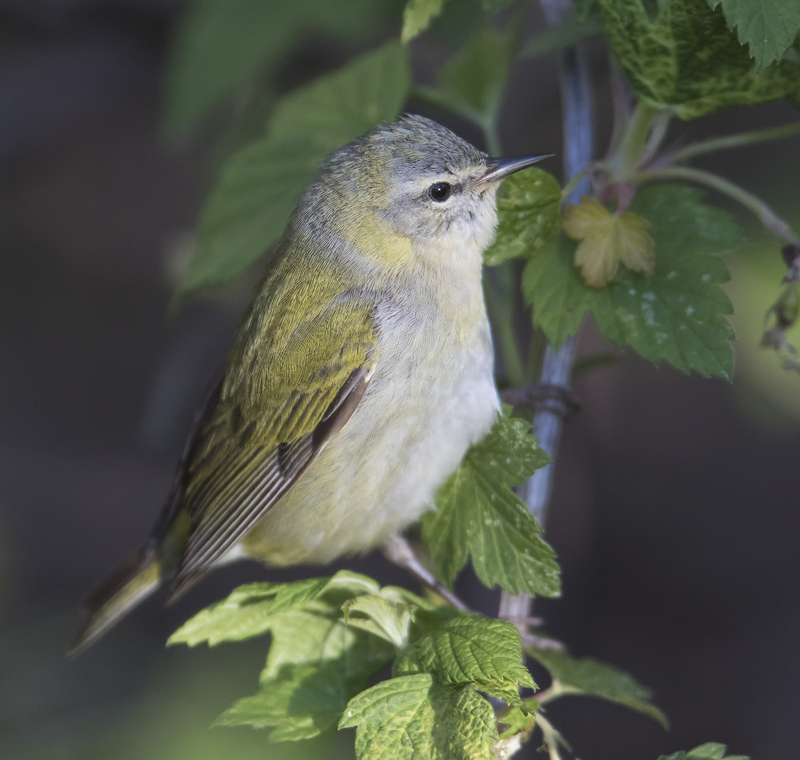 The official checklist for the ten day festival period this year had 34 species of warblers viewed by the throngs. 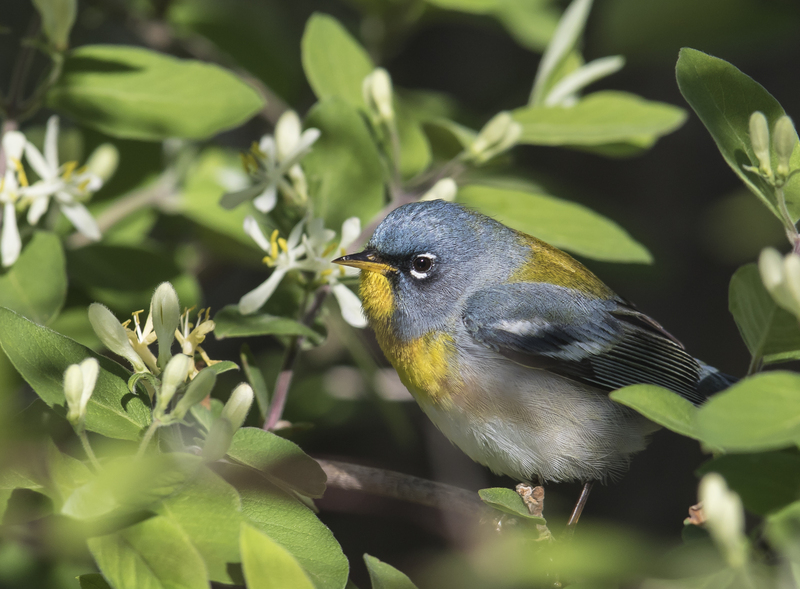 There were a few species we saw that I never managed to get a clear photo of, but, as you can see, it was an amazing day for warbler portraits. 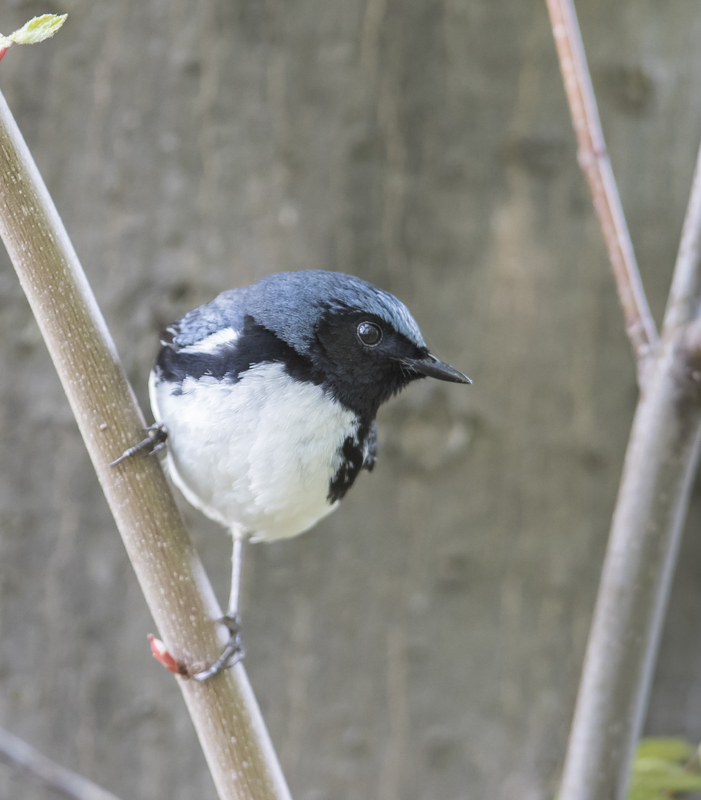 The other thing I loved was having the time to watch these beautiful birds do their thing, and to be close enough to observe some of the details of what they were doing. 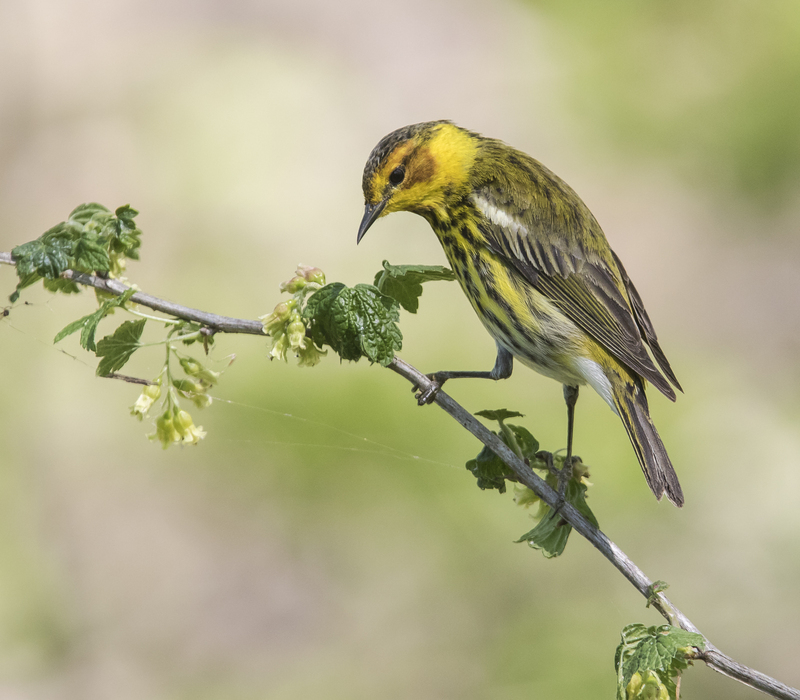 I spent about ten minutes with this Cape May warbler, watching it probe among the flowers on just one branch of this shrub (some type of gooseberry or currant??). It almost looked as if it was drinking nectar from the flowers, but, after looking at zoomed-in images of this behavior, I think it was meticulously gleaning aphids from the the petioles and flowers. 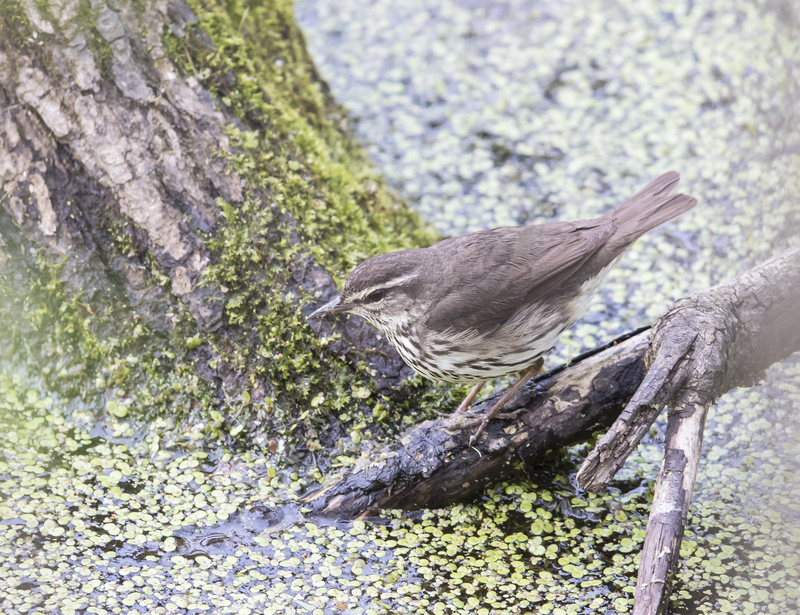 While we were there on Monday, most of the birds were busy foraging in the thick vegetation bordering the boardwalk. 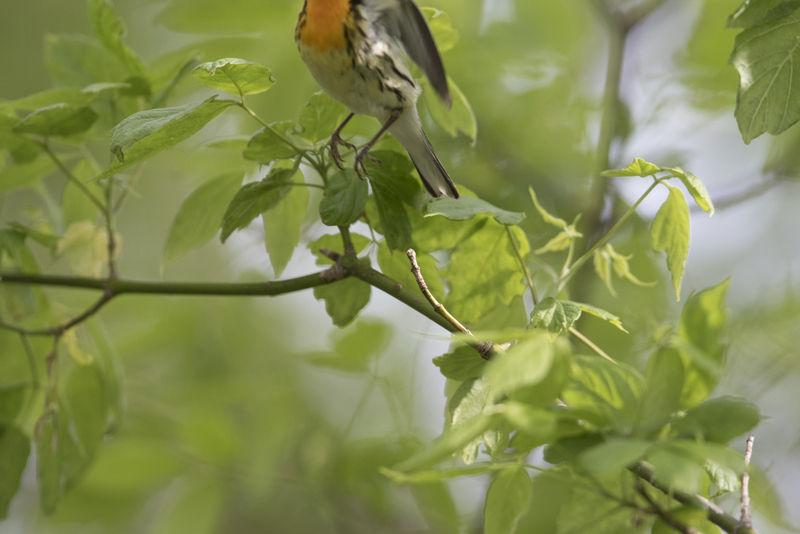 On calm days, or when there are southerly winds, many of the birds will be higher in the trees feeding. 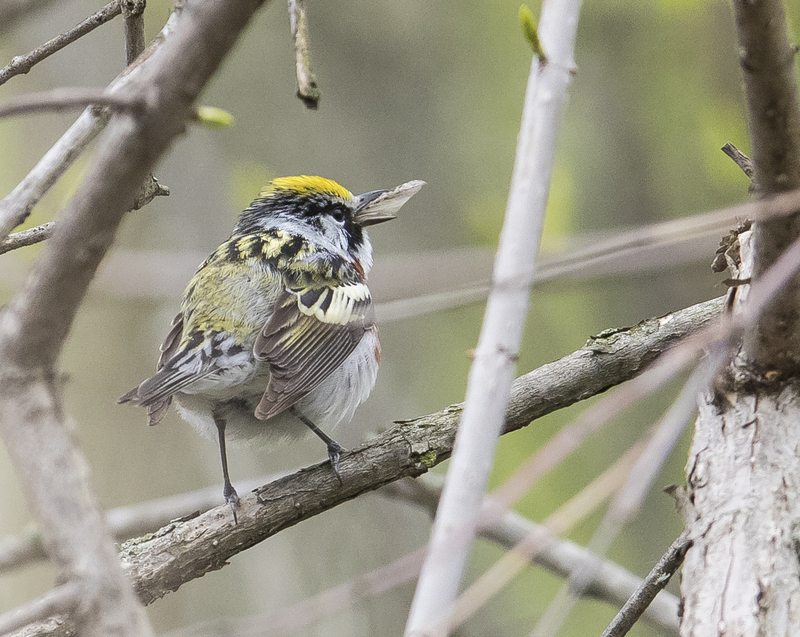 A couple of species (Cape May and Chestnut-sided warblers, in particular), often moved along tree trunks, picking off midges and other tiny insects from the furrows of the bark. 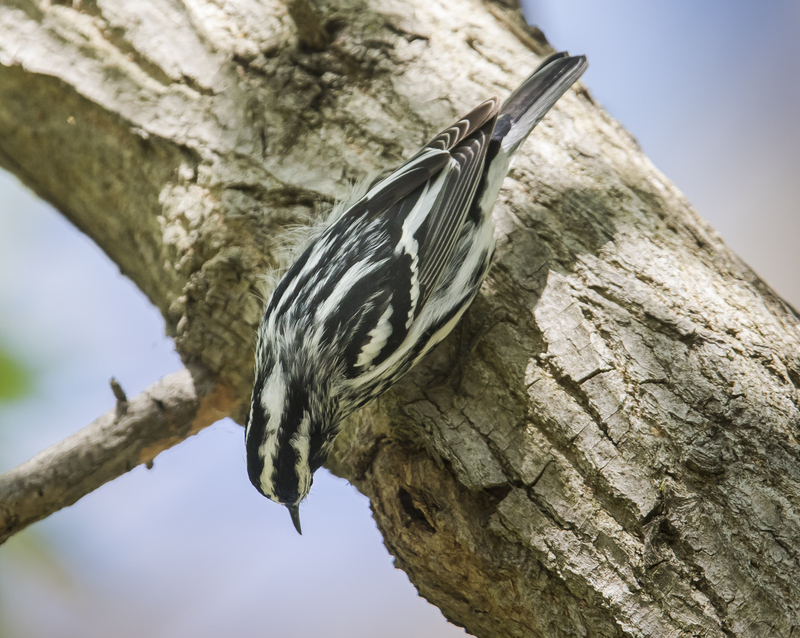 Of course, that is the primary feeding strategy of a species like the black-and-white warbler, although it seems to spend more time spinning around branches than it does creeping up trunks. managed to gulp it down. The other prime activity seemed to be singing. 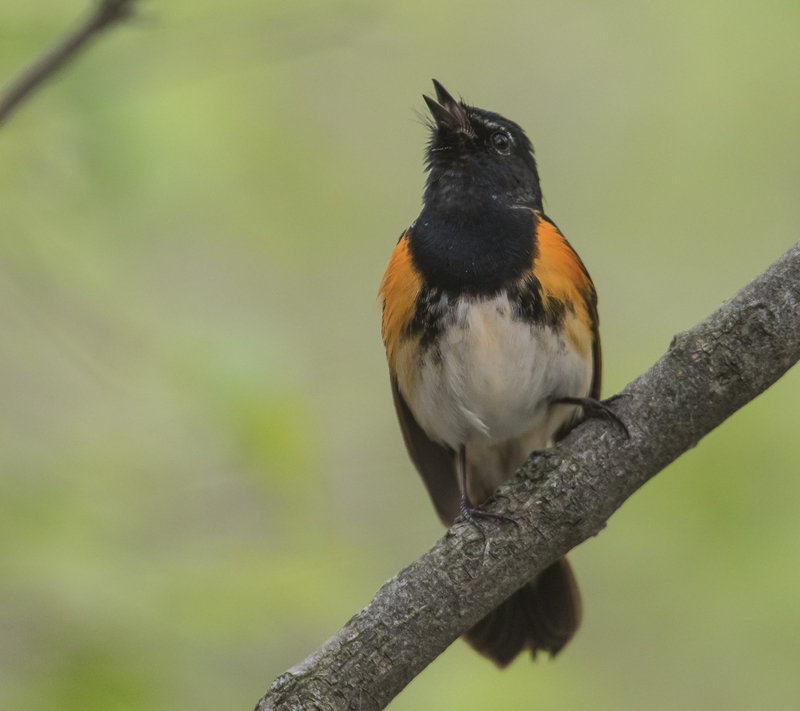 And what a treat, especially for a guy that is losing some of his high frequency hearing, to be so close to so many species of songsters. 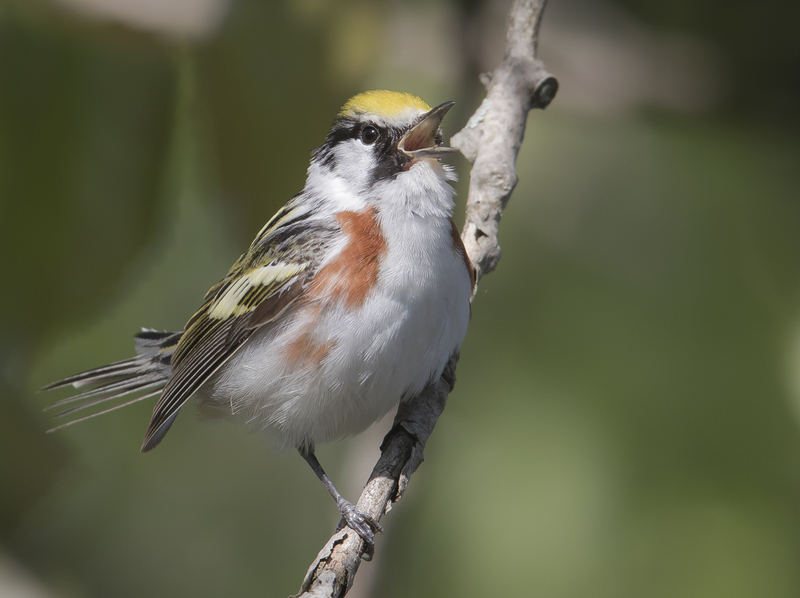 It was a fulfilling day of low level warbler-watching. After spending over 12 hours on the boardwalk, we were both pretty tired. I even had my first-ever photo-blisters from gripping and maneuvering a heavy camera rig all day. 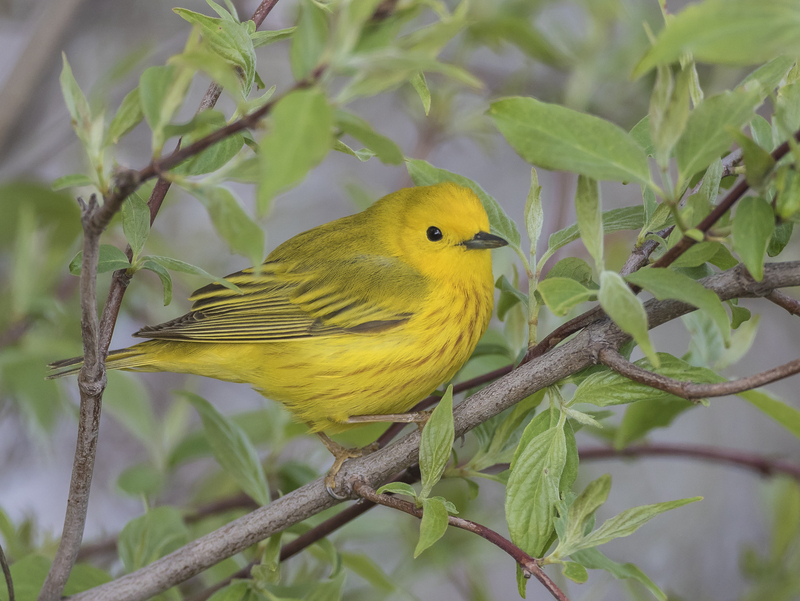 That night, as predicted, the winds shifted, creating favorable conditions for a flight over the lake (most warblers migrate at night). 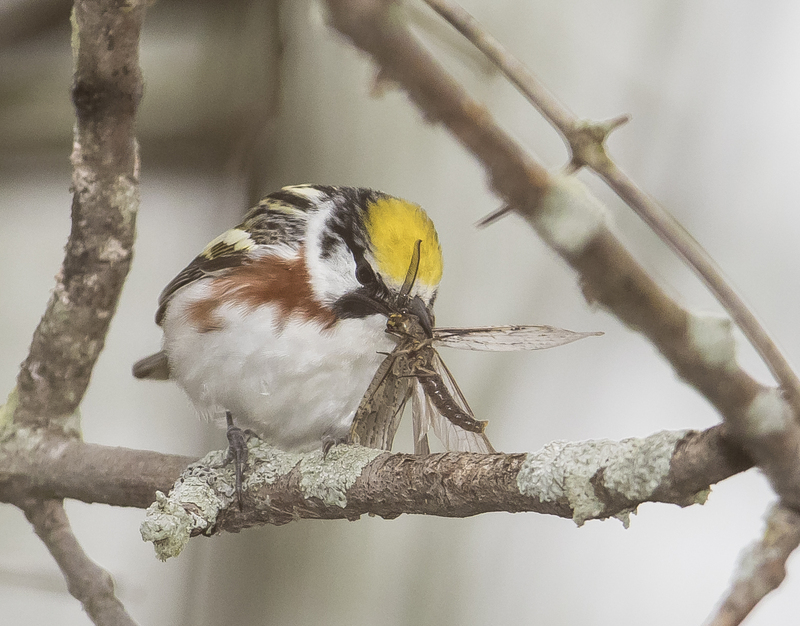 Many of the birds must have taken advantage of the winds, as the next morning was noticeably different. It was still great, but the birds tended to be higher up in the trees, and, they just were not quite as abundant. 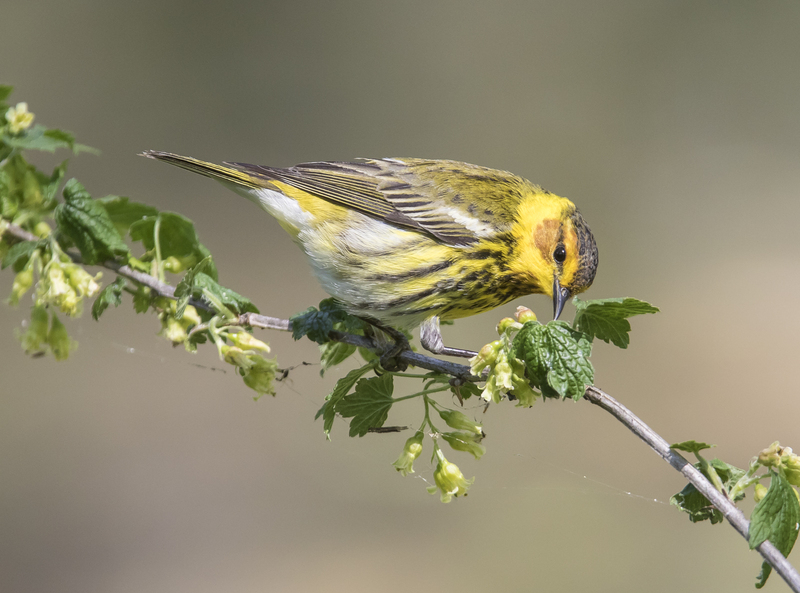 Experienced birders recommend spending a few days in the area for this very reason, since conditions can vary considerably from day to day with changes in weather. 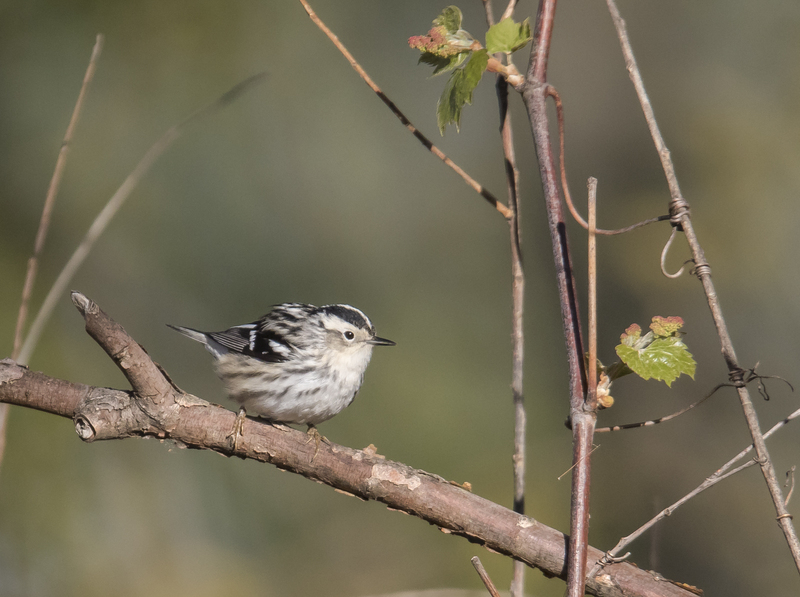 When you stop to appreciate what these tiny birds have gone through to make it this far, it is humbling…the blackpoll warbler, for instance, winters in Brazil and migrates almost 5000 miles to its nesting grounds in the boreal forests of Canada and Alaska. 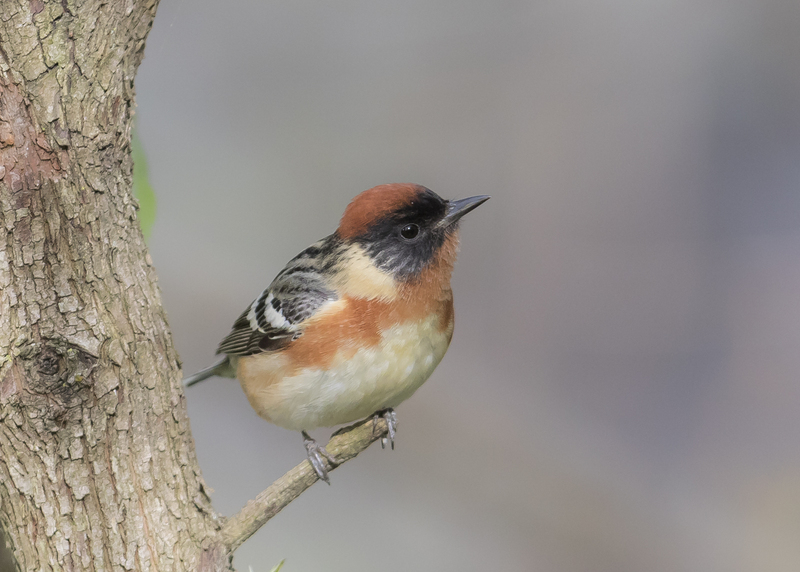 During the fall migration, this species takes a more easterly route that includes flying out over the Atlantic Ocean for distances up to 2100 miles non-stop (a flight that has been recorded to take up to 88 hours). 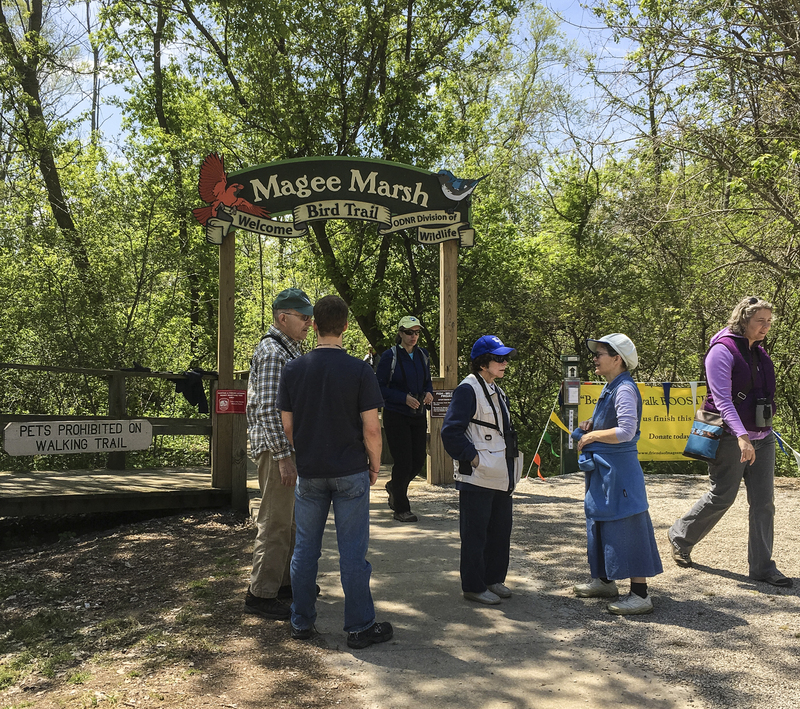 The phenomenon of bird migration is one of the greatest spectacles of the natural world, and Magee Marsh is certainly one of the most remarkable places to witness it in spring. I’m glad we were fortunate, on our first visit, to experience it at its best. 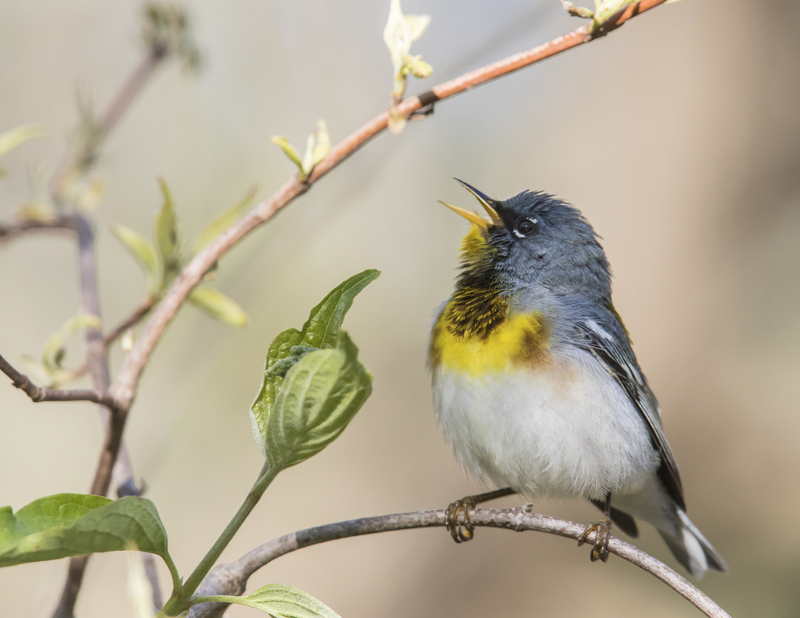 This entry was posted in Natural History, Nature Photography, Trip report and tagged magee marsh, spring migration, warblers by roadsendnaturalist. Bookmark the permalink. Thanks, Victor. It was an incredible trip. what a fantastic trip you had…great photos and commentary. I’m a warbler nut, so this really appealed to me! Congratulations! If you have not been, you need to…you would get great images! Let me know if you will be taking a group there next spring. Thank you for the photos and explanatory comments. Thanks, Phyllis. If I do, it will be announced well in advance on both my blog and email list. 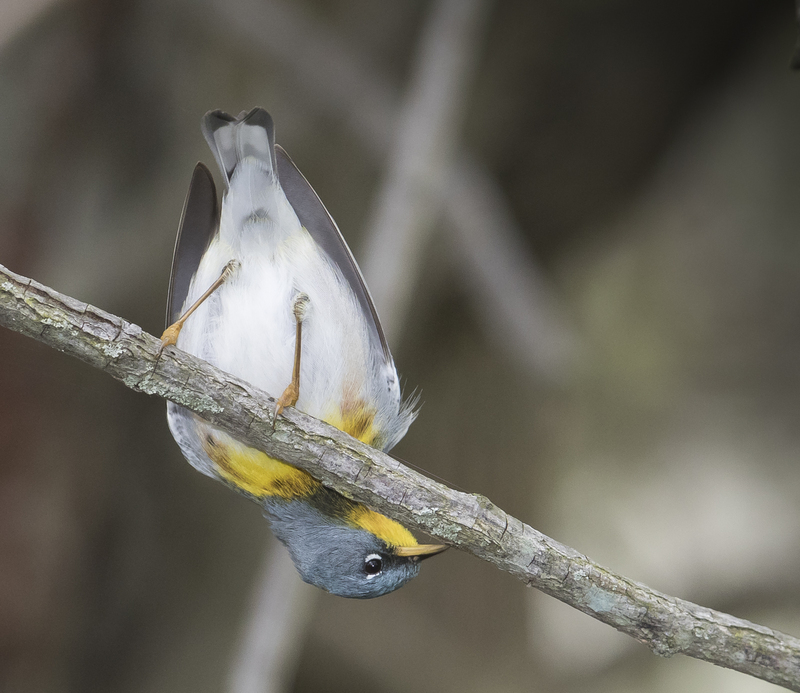 Mike, these are amazing warbler shots. 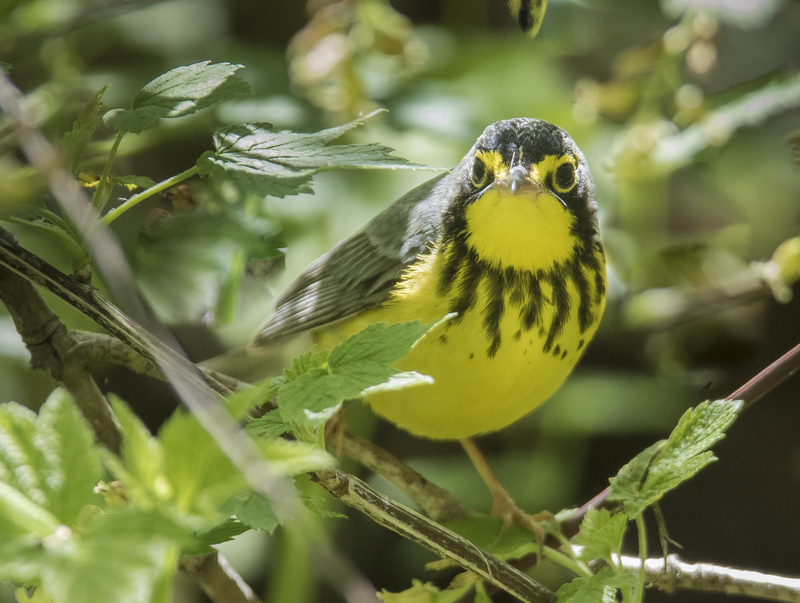 I usually end up with more whiplash than usable images when trying to shoot warblers. Congrats. That has been my experience as well, until now. It is an amazing place. I am saving this for future reference! I have never heard of this place even though I grew up in western PA. It’s now on my bucket list! What a great time you had, and such wonderful photographs! WOW! A good bucket list destination.